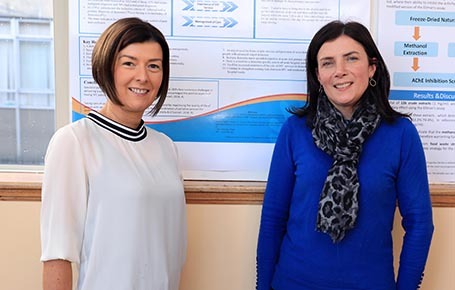 Pictured is Dympna O’Connell, Lecturer in the Department of Nursing, Health Sciences and Disability Studies and Jacinta Conlon, Nurse Specialist in Palliative Care with North West Hospice, presenting a poster entitled: The Dementia Patient’s Pathway Through the Specialist Palliative Care Services at the recent 19th Annual Research Conference run by Research & Education Foundation. Sligo University Hospital. 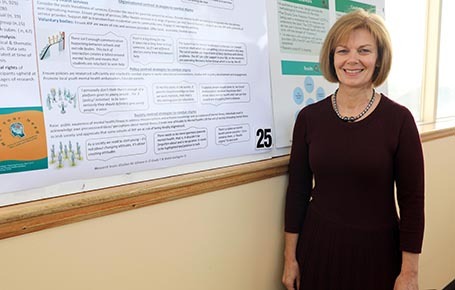 Pictured is Ursula Gilrane, Lecturer in the Department of Nursing, Health Sciences and Disability Studies, presenting a poster entitled “Irish adolescents and young persons recommendations for combatting stigma” at the recent 19th Annual Research Conference run by Research & Education Foundation. Sligo University Hospital. 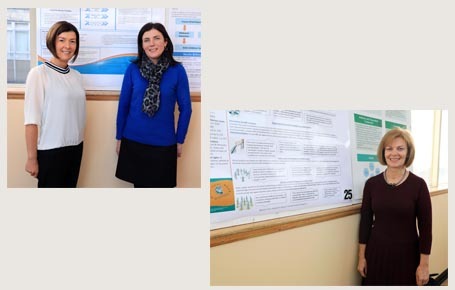 Research Team were Dr. Michele Glacken, Ms. Ursula Gilrane, Dr. Dympna Walsh-Gallagher, Mr. Tom O’Grady.